Daron Vartan Malakian (Armenian: Տարօն/Տարոն Վարդան Մալաքեան, born July 18, 1975) is an Armenian-American singer-songwriter, multi-instrumentalist, and record producer. He is best known as the guitarist, songwriter and second vocalist of the heavy metal band System of a Down and as the lead vocalist, lead guitarist and songwriter of the band Scars on Broadway. 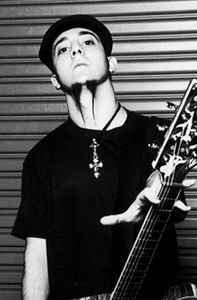 Daron Malakian is known for his distinctive playing and is ranked 40th in Loudwire's list of Top 50 Hard Rock + Metal Guitarists Of All Time and #11 in MusicRadar's poll, The 20 Greatest Metal Guitarists Ever. He is placed 30th in Guitar World's List of The 100 Greatest Heavy Metal Guitarists of All Time. His father is the famous artist Vartan Malakian.